Founded in 1898 and based in Kalamazoo, United Kennel Club (UKC) is the largest all-breed performance-dog registry in the world, registering dogs from all 50 states and 25 foreign countries. Celebrating the unique Total Dog philosophy, UKC events highlight the instincts and heritage of dogs that look and perform equally well, as more than 60 percent of our annually licensed events are tests of hunting ability, training, and instinct. 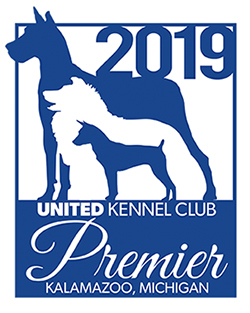 At UKC we pride ourselves on our family-oriented, friendly, and educational events that welcome both purebred dogs and dogs of unknown ancestry. We recruit self-motivated and detail-oriented individuals to grow with us at UKC. If you are interested in applying, please send resumes to careers@ukcdogs.com.